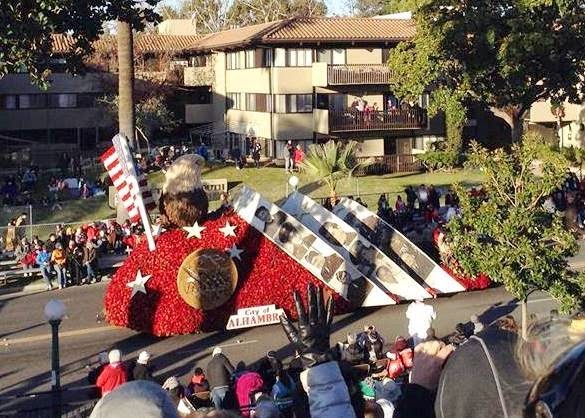 The Tournament of Roses Parade dates back to 1890, and is held in Pasadena, California on New Year's Day. The parade route is 5.5 miles long and televised nationally. 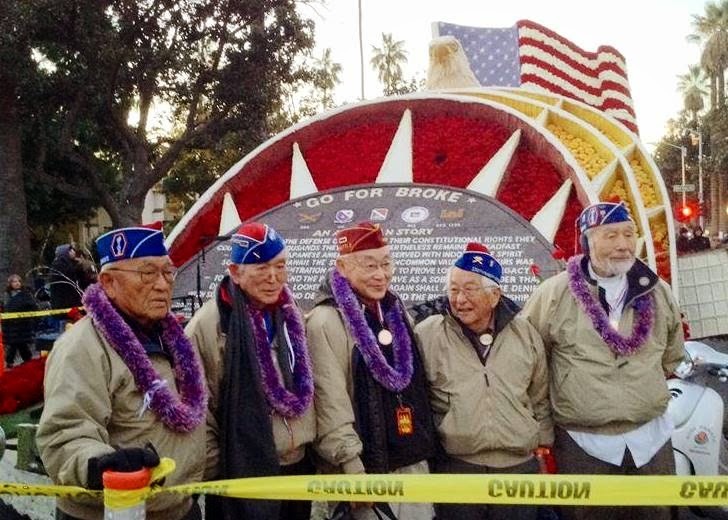 The City of Alhambra with Mayor Gary Yamauchi, sponsored the 2015 Tournament of Roses parade float, "Go for Broke,"honoring the Japanese American WW II veterans. The Japanese American combat units served under non-Japanese American officers, and included those who enlisted from the U.S. concentration camps. They earned the reputation for hard fighting and for refusing to give up, no matter how devastating the enemy fire. This determination was used by the Nisei soldiers’ term, “Go for Broke!" The number of Medal of Honor recipients from the 442nd RCT was extraordinary for a unit of its size, a testament to the bravery of its members. There were five Nisei veterans who were selected to ride on the parade float. They were picked from a large number of living Japanese American veterans whose families submitted applications to the Go For Broke National Education Center Committee. The five nisei WW II veterans selected to ride on the parade float were: Roy Fujiwara, 96, 442nd Regimental Combat Team, of Honolulu, HI; Dr. Susumu "Sus" Ito, 95, 522nd Field Artillery Battalion of the 442nd Regimental Combat Team, of Boston, MA; Yoshio "Yosh" Nakamura, 89, 442nd Regimental Combat Team, of Whittier, CA; Masao "Mas" Takahashi, 90, 100th Infantry Battalion, of Torrance, CA; and Tokuji "Toke" Yoshihashi, 91, 100th Infantry Battalion of Alhambra, CA. 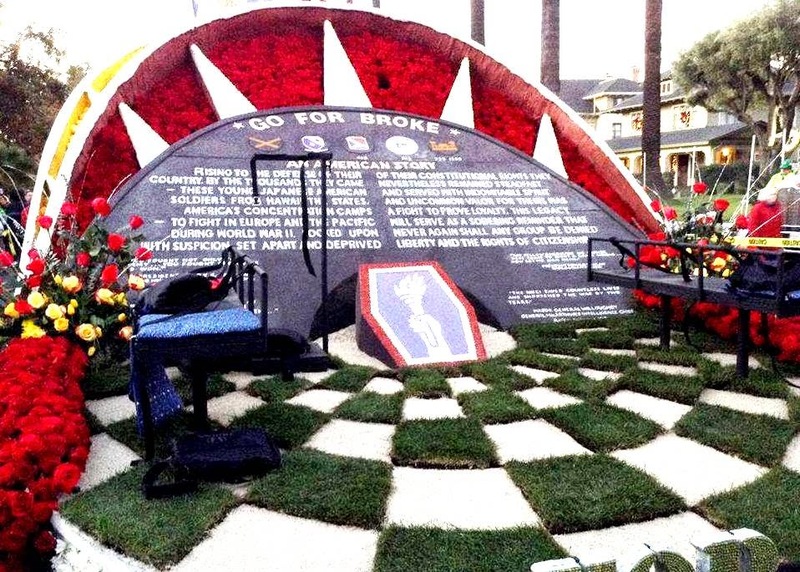 The parade float was 41 feet long, 18 feet wide, and 16 feet tall, featured a floral design of the Go For Broke Monument, located in Little Tokyo in Los Angeles. 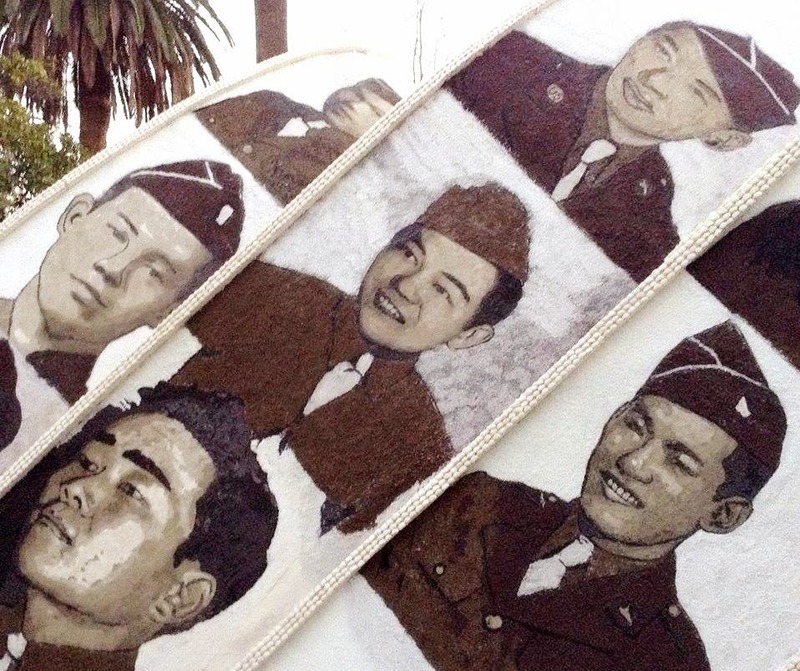 The parade float also featured a special portrait tribute to the 21 Japanese American soldiers who received the Medal of Honor for their actions during WW II. The portrait renditions were made from flowers and other natural plant parts, as part of the requirements for all Tournament of Roses parade float entries. 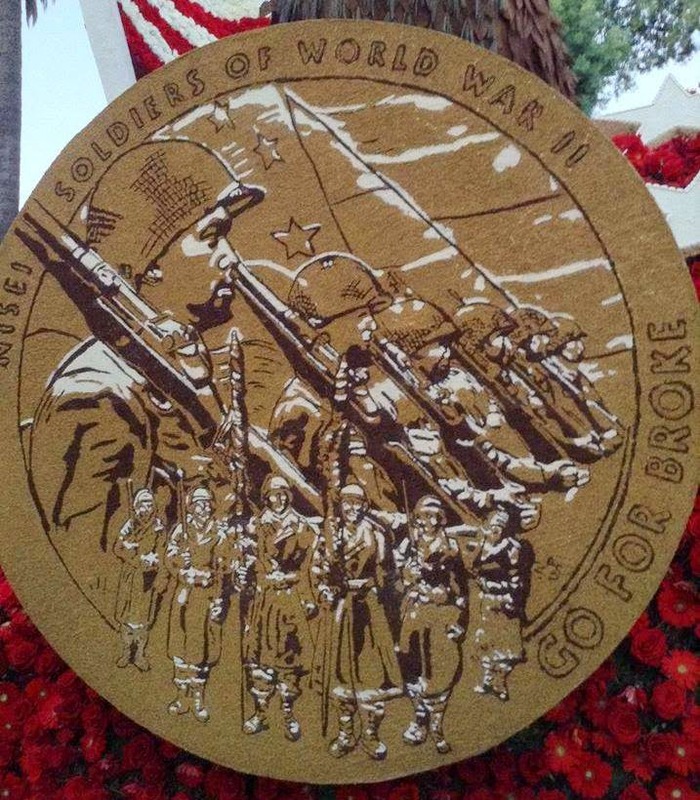 The parade float proudly had a floral replica of the Nisei Soldiers of WW II Congressional Gold Medal of Honor. It was awarded collectively to the 100th Infantry Battalion, the 442nd Regimental Combat Team, and Military Intelligence Service of the U.S. Army in recognition of their dedicated service during World War II. Their commitment and sacrifice—in the face of a two-fronted battle against discrimination at home and fascism abroad—demonstrated a highly uncommon and commendable sense of patriotism and honor.